TowBoatU.S. #3 is an aluminum hulled hybrid RHIB that was added to our fleet in 2008. 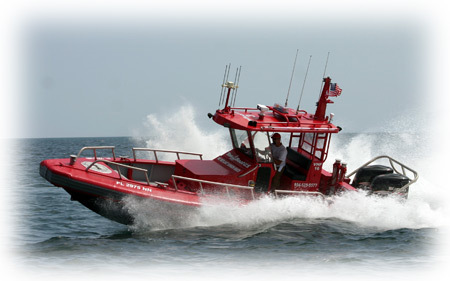 Prior to its acquisition, the vessel served as one of Coast Guard Station Ft. Lauderdale's fast response search and rescue boats. The vessel underwent a complete refit including repowering and many other unique customizations to suit our needs before she was launched into service in August 2008. The vessel is equipped with a full complement of salvage equipment and is primarily used to respond to salvage and emergency towing situations.